Private Blog Networks Getting Deindexed? The word on the “digital streets” in February was that blog networks were getting heavily deindexed by Google. There have been a lot of these private blog networks popping up on the market and a lot of people got stung on the 7-9th and 18-21st of February. Within the last year, webmasters and SEO’s have been debating whether or not external links could hurt your rankings. Now, we can confirm it’s a sure thing as a lot of them are now getting notices in their WMT. For the most part, these warnings and penalties came for blatant and excessive link exchanges. There have always been, and will be private blog networks out there for SEO use, but the amount of paid “private” ones have flooded the market. It’s no surprise, either, as the ranking rewards from a blast on a few of these networks was, and still is, netting people great results. The problem? Your SERPs are getting bombarded by thin affiliate sites that most likely should have no business ranking where they do. We all know by now that Google’s algorithm was built on links and that there is no shortage of places to buy obscene amounts of them. The fact is that just about every big player in their niche is going to be buying links in some way or another. The difference amongst those players being whether they get caught or not. I’ve seen my fair share of extremely elaborate private blog networks in my time and I’ve recently seen nothing but endless low quality blog network services popping up. I’m not going to pretend I’m above having links from a private blog network, but the quality I’ve seen coming forth is atrocious. While participating in a private blog network for links is clearly a link scheme and against Google’s TOS, a lot of companies still don’t mind the risk. I personally couldn’t sleep well at night if my company’s rankings relied on a flimsy blog network or three. With that being said, what happens when, either that blog network your relying on gets the boot, or your site gets dropped? The blog network’s users are more likely the most detrimental factor, not the owners. After their spun content goes up, you can be sure that a dosing of spammy links will be splattered all over these blogs. It’s a recipe for disaster, and by the looks of February, this caused a lot of problems. A lot of companies are not aware of what they’re getting themselves into as well when buying a link blast on a private blog network. What’s even worse is when a business hires an SEO company and they get back a bunch of links that are really just going to be trouble in the long run. On the other end of the spectrum, big companies are spending tens of thousands of dollars on a well sorted private blog network. These sites are well thought out and don’t consist of spun content and thousands of scrapebox and Xrumer links. All I’m saying is be smart and careful, especially if you stumbled onto this post while making a decision for your business. This commercial, for example, is well produced and makes sense, but to the unsuspecting business owner who doesn’t know much about Google’s TOS conditions or what will eventually happen to these networks, it could spell disaster. By now I’m sure you’ve read this blog post from Google talking about 40 changes to their algorithm in February. The bit in that article about links has raised a lot of eyebrows within the community. We can only speculate on what that change was and how much of a real impact it has on your rankings. What does this have to do with private blog network links? Well, for one, blog networks are easy to detect and Google can sniff out a pattern in no time. Secondly, I think Google is just going after people who are too greedy in their anchor text distribution. It’s really very easy for Google to detect, seeing as we give them all our data (not that they really need help determining what constitutes as a quality link). This should really make you rethink your link building strategy if you’re relying on blog networks as a big part of the game plan. 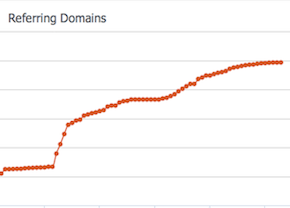 You’ll still see tons of spammy websites ranking across the board, and that hasn’t changed much. I do, however, think that if you’re using these techniques, your chances for longevity are now in the toilet and those methods are not going to work for a real business. This is why it pays to do things right and reap the benefits once you establish your business as a leader in its vertical. This is why, as a brand, you should be doing amazing things that stand out. This will attract links, social buzz and all the right signals that get you to that level of authority. If you’ve already decided you’re going to eventually dable in a blog network or two, then perhaps wait until you’ve reached that status….it does work better and since your brand is established, it seems you can get away with a lot more *hint hint*. Well I don’t actually use private blog networks for our clients so I don’t have any hard data myself. I am, however, very active on most of the webmaster forums and definitely noticed the brewhaha in February. I’ve never seen so many unnatural link warning messages go out. I also saw more speculation threads about blog networks getting deindexed although, I didn’t happen to see anyone admitting it outright. We’ll go over actual threads I’ve been keeping my eye on and dig a little deeper into what’s going on in the world of black hattery! Like I mentioned before, there are dozens of public “private” blog networks currently on the market. I’ve had my team try their hand at most of them with certain niche sites we own. We knew from the get go that just about every single one of them (BuildMyRank, ALN, LAN, DiamondLinks etc etc etc) would provide us low quality content on sites that had nothing to do with our vertical. Every single one of these networks was easy to spot and the content wrapped around yours was not my idea of a delicious sandwich. We don’t use services like these for our clients EVER, however, I see why there is such a raging market for them. It’s hard to build links and if you’re rocking a thin affiliate site, the chances of getting hundreds of natural links isn’t going to come easy. There’s too much money to be made out there and if people can exploit something easily, then it cannot be stopped. Just remember that if you’d like to have a thriving business that benefits from free organic Google traffic, take the slow and steady road. While the public blog networks are easy to pick apart, so are a lot of amateur SEO’s private for-their-use-only networks. An example of how a Warrior Forum member Mark spoke out about how his private network was sniffed out by Google and completely deindexed. Yesterday my network of 165 blogs was nearly completely de-indexed by Google. I’m not complaining about this as, hands up, I was posting spun content and selling links. The point of this post is rather to let others know how I think they uncovered my whole network. I was posting spun (paragraphs spins to 60% uniqueness and 20 spun titles) articles to a random selection of 40-75 of the blogs in the network. That spun content was the only thing linking the blogs together. None of them had Webmaster Tools, Adsense, etc. installed. None of them were linked to each other. Nearly all of them were hosted on different IP addresses. The only 2 sites not to get de-indexed were 2 that had been hacked a few days earlier and so the content on those couldn’t be found via a Google search. Goes to show that, even though you may be hosting them on different IP’s, low quality networks are easily caught by Google and that you have to be smarter than your average bear these days if you want to play dirty. While we won’t usually see another private blog network owner come out and admit they got dropped, we can look at the mayhem PBN users saw in February. We’ll start by looking at BuildMyRank.com because they’re one of the biggest and most well known networks. They happened to close their doors on the 19th which, also happened to be a day of major ranking loss for thousands of websites across the IM world. I’m not, however, saying this was the reason they closed their doors; they clearly state they grew too fast and needed to grow some more. Regardless, they’re on Google’s radar for sure and will eventually get their users smacked down in the rankings. To protect the integrity of our network, we do not release domain info to the public. However, once you begin using our network, you’ll find your links easily enough with tools such as Open Site Explorer, Majestic SEO, or Ahrefs. There are tons of other public networks that I’ve mentioned here, but I’ll just mush together all the threads that had a good discussion and may interest you folks here. I’m also open to hearing what you have to say so don’t be shy and let us know what you think below. In the mean time, however, here is some reading that should keep your busy for the better half of your morning. There will always be people gaming Google’s algorithm in the link department, so I don’t expect to see a drop in private blog networks. There will still be, and are currently, dozens of open-to-the-public networks to blast thousands of links on. While it does work well, Google is quickly learning how to spot these and, even quicker, how to devalue your link juice. 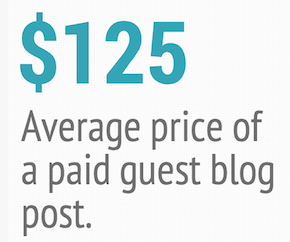 If you’re a legit and serious business, stay as far away from blog networks as you can. If you must dabble, then prepare to eventually get stung in the long run and you’ll be right back to square one. I know a lot of you are going to be thinking that anyone who got caught up in Google’s algorithm smacking in February must have been foolish and only relied on PBN’s for links. Either that or they got too greedy and didn’t diversify their links, whether it be the anchor text or a multitude of links to internal pages. In the end, it doesn’t really matter when you’re spamming for blog comments, forum/user profiles, wikis, article sites and the like. Keep in mind that damn near every form of link building goes against Google’s TOS. Over the years, Google has applied some high profile penalties and they’ve always been a fun read. I thought I’d round-up all the big ones I could find and present them for your amusement (and education). All the companies in this post had been caught with their hands in the paid links cookie jar. Whether they were selling or buying, Google came down hard on them for a bit but, as you can see, they’re all back and doing fine now. I won’t name names, but one of these ten below is still blatantly selling links on their high profile site. In my younger days, I woke up one morning to find my biggest money making affiliate site with a big fat -50 slap in the face. I was doing everything from buying links, to heavily targeting certain anchor text. At the time I didn’t care, knew the risks and the money I was making was down right ridiculous. I moved onto the next domain and was eventually back making my monies. The ability to shrug it off is lost on a big brand. Everything they do in marketing has to be for the long term and getting slapped by a Google penalty can be a major problem for just about the whole operation. The penalties put on one of the companies below cost them just over $4 million in losses… ouch! If you’re still wanting to buy links, and by all means buy away, learn how to do it properly for Pete’s sake! The reality is, big brands are still buying although they are getting sneakier and sneakier. Mark my words, almost every competitive SERPs top 10 results are going to have a lot of paid links. What I’m seeing lately is just the right balance of paid links, careful anchor text use and a good mix of where those links are pointing. It can be done, but let’s see what impact Google has had in the past. Before we get into the main bulk of the content I’d like to mention that I want comments on the big brands I did miss out on. If you want to see the everyday website getting stung on a weekly basis, come join me on Google’s Webmaster Help. Since Panda started rolling out it seems that paid links are causing webmasters a lot of problems. Yes, you are reading that right and this is not a typo! Apparently Google Japan didn’t get the memo on buying links; Either that or they forgot to send it in Japanese. Matt Cutts publicly stated via Twitter that the PageRank drop for their .co.jp search homepage was in fact because of some naughty link buying. They were getting reviews for a widget by paying bloggers and using a pay per post service. To me, this would be a prime link bait tactic for Google to use, except for the fact that they have no real need to be doing that in the first place. I don’t have a problem with bloggers in a niche reviewing a product or service, whether or not it was paid for; That is just good marketing in my books. If you are really paranoid, ask for a nofollow link. It’s not much different that submitting a press release about a new product launch. Keep in mind, though, that the reason I would do this is not for the link, that’s just the icing on the cake. Perhaps one of the most well known publications in the world, Forbes Magazine was caught not once, but twice for selling links in a multitude of areas online. By the looks of it, they were making a pretty penny doing it and despite being a very large company, Google still dropped the ban hammer on their website. You can see the original Google Webmaster Help thread which even had Matt Cutts himself provide the best answer. That’s the kind of attention big brands get. I’ve rarely ever seen him pipe in on any other topic in that forum. Now I wonder how much of a clue Forbes had in the first place. It was online marketing firm Conductor Inc who was the link broker for them and many other large sites that may have been penalized. They were at the very least selling links to other big brands that were closely related in business. A really rather smart idea. If you are going to buy links, then they were doing it the best possible way but it obviously didn’t pan out as they had initially anticipated. Still, there are ways of buying links that Google will NEVER catch on to, so remember that you have to be sneaky if you’re going to risk it all. 1800Flowers.com is perhaps the best known flower chain in North America. Heck, I’ve even used them a handful of times. I did, however, forget to give them paid link advice. They entered a very competitive market both online and off and to boost their rankings they dabbled in the dark side. Needless to say, it eventually caught up to them. The penalties were a major sting to their sales for a little while before Google let them back into the game – something that’s typical after the storm calms down and the penalized site starts playing by the rules. What kind of links caused it? Well, they denied it but they had links on sites that were quite obviously selling paid links and they were targeting “Mother’s Day Flowers” keywords galore. Like I mentioned above, if you search for Mother’s Day Flowers now you’ll find them at the number one spot and if you check that page’s links, you’ll see how they are still ranking. Regardless of linking methods, that’s a company I’d expect to see in the top 3 spots. The NY Times called them out on it and made it a big story, but at least they got some really juicy links out of it. So, the lesson learned? Getting caught is a great way to drive links to your site! Well, we’re not really all that surprised to see yet another publication getting “slapped in da face” for selling links. I understand, times are tough for print media publications and trying to make a buck or two on paid links can bring in some serious dough. This website is for the Long Island area of New York, and is owned by the Tribune group. Newsday.com was the only website in their portfolio that got a slap, so it makes me wonder how many websites they own got away with it. If you take a look at some of their articles, you might notice some links that may be considered “paid” but in the end, who knows. The links are always related to the post’s topic so it could be just good linking. I know online newspapers have a big network of sites and interlinking them for legitimate purposes is something that is going to happen. You can read the original Google Groups posting here about it and see how it was all handled. Make not of the fact that it took a few months to get their PageRank back to normal levels. GoCompare is a car insurance quote company and if you know anything about competitive markets, you’ll know that anything insurance is tough as nails. Go look at the top 10 ranking sites for the term car insurance and you’ll find paid links in at least 80% of the sites ranking there. The sad truth is, those big terms are all completely dominated by paid links. The difference? Most of them have a really good link profile in addition to the paid links. You’ll find diverse backlink profiles usually make it so that people get away with paid links for longer, if not forever. GoCompare was buying a lot of links on a lot of crappy sites, which is still evident in their link profile to this day. I imagine those links are now just devalued and not doing much for their rankings. They’re not in the top 20 search results for the ‘car insurance’ keyword anymore so perhaps they got stuck in a link building rut since. If you folks are reading this, give us a shout because I have some great ideas for link bait in your niche! This is the site that Google bought in March of 2011 and was quick to penalize for buying links. I’ll throw out the link bait card again because the site didn’t do too well for a lot of terms and this is a great way to get links if you’re Google. Looking at their Alexa ranking, it didn’t do them a whole lot of good in the long run. To me, this is the type of site that should have been hit by Panda pretty hard but I imagine they somehow made it past the filter. Keep in mind my earlier mention about the insurance SERPs being some of the toughest out there. I’d put money on the fact that the majority of companies are still buying links to this day. When competition is that rough and tough, the paid links usually play a large part of the overall rankings. Here we go again. Those insurance companies sure do love their paid links! I’ll continue to stick by my quotes on the insurance game being completely dominated by paid links and other naughty link schemes. There are few companies in this arena doing things legitimately and ranking hard for it. A newcomer into this industry better have some incredibly smart marketers working for them if they’re going to even stand a chance for a top 20 spot. Not only that, you’re going to be under heavy watch due to the competitive nature of those SERPs. I found the Google Webmaster Help thread directly from the company trying to figure out what was going on with their rankings in Google. GoHealthInsurance.com had a 3rd party company buy links as part of their SEO strategy until Google took notice. They had the company email and remove all those links but were finding that the rankings weren’t coming back. Well no duh! You’re going to need some good quality link loving to get back up for those keywords. Keep in mind that it can also take a few months to come back after you’ve been filtered for a certain keyword or removed entirely. From my affiliate marketing days I’m quite aware that the gift basket niche is a big one and a tough one to crack at that! While they have an amazing exact match domain as well as beer baskets, I have no idea why the paid links were necessary! How are beer baskets not link bait alone? (mmmmm beer) Back in 2008, right before the holidays, it was reported that GourmetGiftBaskets.com was dropped from the Google index. This is a nightmare of the worst kind for any company and the fact that it was right before the holidays is a killer. How killer? They reported a $4 million dollar loss in sales. Eventually, things got back to normal, however, if anyone from the company is reading this, your partners page and articles section is something I’d be worried about Panda going after. By the looks of it, they may have already. Other than that, I still see a lot of sketchy links in their profile. Overall, their strategy has been focused on getting national news coverage. They also have tons of links from the biggest sites on the web and with an EMD like that you’re in for a win! The JC Penny debacle was perhaps the most talked about penalty of the year. They hired a 3rd party company, which is okay, don’t get me wrong, but I would have thought they had a good in-house team. Like a lot of 3rd party low life SEO companies, they’ll buy links to quickly inflate the rankings for their client. The worst part? They won’t even tell them they’re doing it. We’ve even had to clean messes like this up for companies before. I have no idea if they knew or not, but they had no reason to buy such terrible links on unrelated blogs. Their budget could have paid for the best link bait, the best reviews and if they wanted to go for paid links, they could have been sneaky as a fox. JC Penny does have one thing going for them – they’re one of the biggest retailers in the world. They were able to clear up their issues quite quickly and were back to ranking in no time, even for the gamed keywords. In addition, when you spend that much on Adwords, you must have some serious clout within the Google hive! Either way, it works as great link bait and JC Penny got all the links they’d need from the biggest sites in the world. Bravo folks! Overstock was the other contender for biggest brand banned in 2011 and it’s an interesting case to me. I’ve got links for clients on .edu’s offering discounts, but there was one difference in our tactic. We didn’t game anchor text and just got a natural site/brand name link and as a result, never felt any sort of a penalty. We didn’t expect to rank to all high heavens either, it was just another part of the link profile to add some diversity. To this day, those clients have not felt any ill effects from those links. BRB while I go knock on some wood! The whole issue got blown out by the WSJ Online edition and thanks to them, Overstock got a truckload of awesome links for it. Their company has some of the best in-house SEO’s in the world, so they’re still going strong. However, a lot of the keywords they were targeting in that campaign still elude them to this day. Regardless, they’re still doing great in the SERPs and traffic looks to be rising up this year for them and they’ll no doubt continue to see that rise. So, if you’ve learned anything from the big guys going down in Google’s books, it is “play by the rules”. If you haven’t been, ask for help and work to fix the problem. If you do need to buy links, and it will always be a part of a diverse link portfolio, do it very sneakily and make sure that you’re not gaming the SERPs. With any sort of luck, you’ll be back ranking for your old keywords in no time. That is, if you have enough clout. Dilbert Caught Buying Links – Google Punishes! Thanks To: Dilbert.com For The Comic! The latest thread I posted on was from a printing company in the UK. They made a post stating that they’ve lost most of their traffic over night. Imagine that folks. How would you feel if you had to come back tomorrow morning and tell your staff that business is going to get really rough. It would be even worse if you had to start laying off workers because of the massive monetary hit your company is about to take. Don’t let this be you folks, as well let this be a lesson to not keep all your eggs in one basket. Google is a volatile lover, and that’s why our company builds relationships on line…not just links. If you’ve hired a link building consultant in the past year and haven’t bothered to look deep into the links you’re getting, do so right now! If you’re seeing a whole lot of lousy links then you need to jump on that asap. You wouldn’t believe the amount of potential clients that come to us in major trouble from past people hired. They were either burned hard and lost most of their business, or they were teetering on the edge of getting caught. In this day and age, if your top anchor text count is for a specific search term you’re targeting and not your company/brand name, then I’d be a little worried. Google has been cracking down more and more, and they’ve even stated recently that major changes are coming to the way they view links. No one really knows what that entails, but I can imagine they’ll start looking closer into “natural” link profiles. A common factor in the clients we help get out of a penalty is the fact that their top 10 used anchor texts were obvious links to game the system. If you’re going to still buy links against the advice of the Google gods, then at least do it smart. Link networks are always lousy and obvious, links from unrelated sites are obvious, and links in the sidebar or footer are just plain silly…I’m getting tired of cleaning up paid links for people!